A new prophecy leads to a dangerous quest. 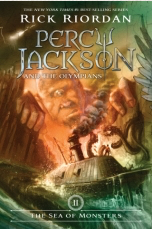 When Percy receives an urgent distress call from Grover, he immediately prepares for battle. 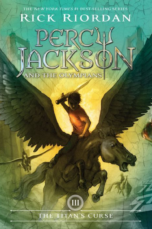 He knows he’ll need his powerful demigod allies, Annabeth and Thalia, at his side; his trusty bronze sword, Riptide; and . . . . a ride from his mom. 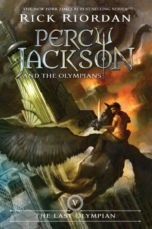 The demigods race to the rescue, only to find that Grover has made an important discovery: two new powerful half-bloods, whose parentage is unknown. But that’s not all that awaits them. 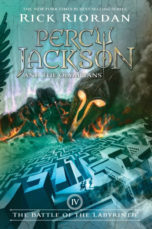 The Titan lord, Kronos, has set up his most devious trap yet, and the young heroes have just fallen prey. 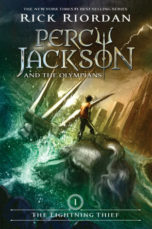 Now, Percy and his friends are faced with their most dangerous challenge—the chilling prophecy of the Titan’s Curse. They must rescue the goddess Artemis by the winter solstice, or all will be lost . . . including Annabeth. 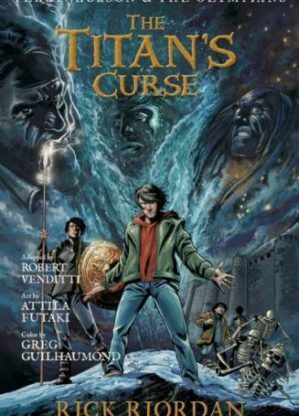 Rick Riordan’s internationally best-selling The Titan’s Cursebecomes a graphic novel in the hands of comic-book luminaries Robert Venditti, Attila Futaki, and Gregory Guilhaumond.